"It enabled me to help these good people with a noble heart and a clear mind." 10% of all WOF Indiegogo campaign contributions will go towards supporting the Voices Inside/Out program. Voices Inside/Out is a theatrical exchange program in prison. 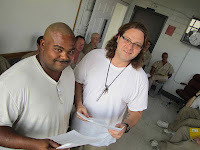 Essentially, Voices Inside/Out sends a professional playwright to Northpoint Training Center, a medium security male population prison in Burgin, Kentucky, for a very unique residency. The playwright teaches master playwriting classes to a group of Northpoint inmates, and has the opportunity in his or her down time to work on his/her own writing. The 2011 Voices Inside/Out playwright Mac Rogers, in fact, revised the second play in his lauded Honeycomb Trilogy – Blast Radius – while in Kentucky last year. The second part of the exchange is presenting the inmate authored plays in New York in both informal gatherings and a big benefit gala in the spring. Our aim is to bridge the inside and outside worlds of prison – to stimulate creativity on both sides of the barbed wire. 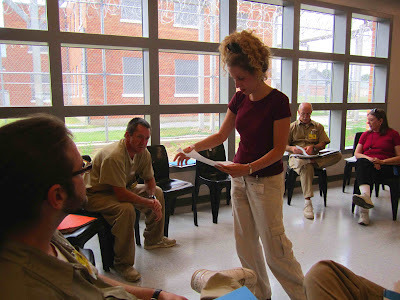 Pioneer Playhouse, a stock theater company in Danville, Kentucky, began a prison playwriting program at Northpoint in 2010. The program was founded by Pioneer Playhouse Managing Director Robby Henson, playwright Elizabeth Orndorff and Shakespeare Behind Bars Founder/Artistic Director Curt Tofteland. A production of Liz Orndorff’s play The Dillinger Dilemma – yes, a play about a criminal! – was presented to the general population, and after the performance, Robby asked if any of the inmates would like to learn how to write plays. 12 men signed up, and the program was up and running. A few months later, the men had written a number of plays about prison life, fishing with a brother, and President Obama, and, they had a number of female characters in the plays. Synge Maher, the terrific New York-based actor and director, was performing in plays at Pioneer Playhouse that summer, and she was asked to come to Northpoint to read one of the female roles. While there, she was immeasurably touched by the experience – the supportive and creative environment that the program boasts as well as the heartfelt plays written by the lads. She called one of our mutual friends Montserrat Mendez, and told him her life had just changed. And, she wondered what to do. He blurted out, “call Lanie.” Luckily Synge took his advice. A couple months later, a small group of actors, Monterrat, and I sat around Synge’s living room to read the plays, and we decided to present a reading of them in New York. But, somehow, that didn’t feel like enough. We wanted a way to make an impact in Kentucky too. And, we came up with the idea of a playwright residency. We’ve just finished our second one. And, I could not be prouder of the work of this year’s playwright resident Holly Hepp-Galván. The inmates’ writing grew exponentially while she was there. How does teaching playwriting to prisoners help? Being creative helps you to be in better touch with yourself, understanding what makes you tick. Playwriting, in particular, can offer solace and inspiration in a myriad of ways. Working in the playwriting group – the circle as we call it – offers a really encouraging environment. So encouraging that when one of the veteran members of the playwriting program was given the chance to transfer to a minimum security prison this summer, he opted to serve the last two years of his long term at Northpoint, a medium security facility, just to remain a part of the circle. Playwriting and the arts humanize us, connect us, and help us see how we are part of a larger world. They also give us a voice, a way to express ourselves, no matter what is going on in our lives. 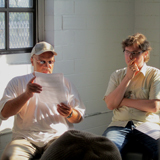 Last summer, two of the prisoner-playwrights were dealing with some serious issues right before their short plays were to be presented to the general inmate population. Tim’s parole had just been denied; he found out he would probably spend another five years behind bars. Gerald learned that his mother was dying, and would most likely pass away before he would be paroled eight months later. Tim and Gerald were both really dejected, but each of them went to extreme measures to ensure that their visions for their short plays were realized. In fact, working on the short plays offered a chance for them to take their minds off of the other issues they were dealing with. 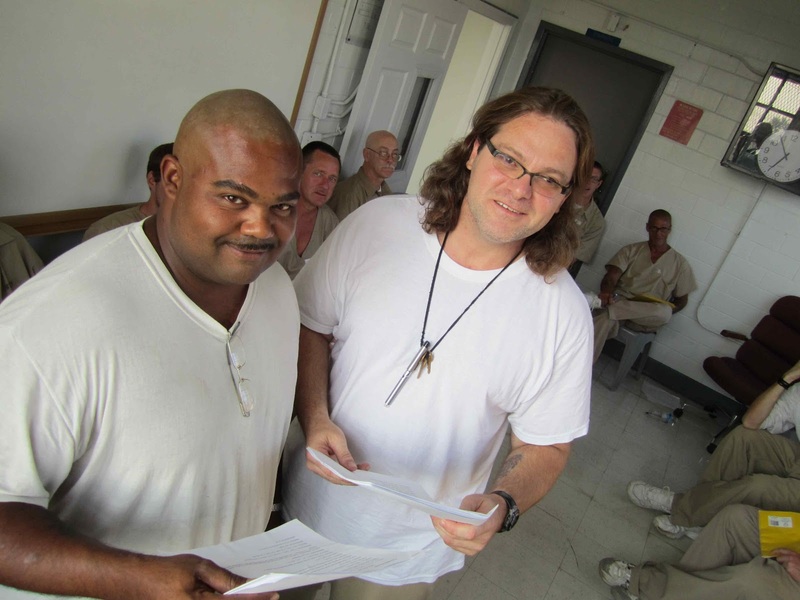 Is there a story you could share from how it changed a prisoners (and playwrights) life? There are so many stories! As I mentioned earlier, Mac Rogers, last year’s playwright in residence, worked diligently on his ambitious Honeycomb Trilogy while in Kentucky last summer. And the trilogy’s director Jordana Williams mentioned that after his work at Northpoint, she felt that his writing was refreshed in some way. It had a palpable urgency. Holly has just returned from Kentucky, and is still processing the experience. I’m sure in a few weeks time, she will have a lot to say about how the program changed her life. 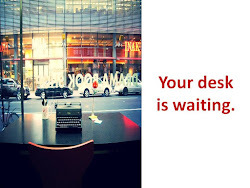 What is your vision for the next year and the future? We are currently working on our five-year plan. We had an idea and made it happen. Now, we see that programs like the one at Northpoint have the power of transformation, and want to figure out a way to grow this program to other prisons across the country. Our ultimate goal would be to create a network of playwriting programs throughout the nation, sending playwrights to work with inmates in as many states as possible and in women’s prisons as well. The next year will be a busy one. 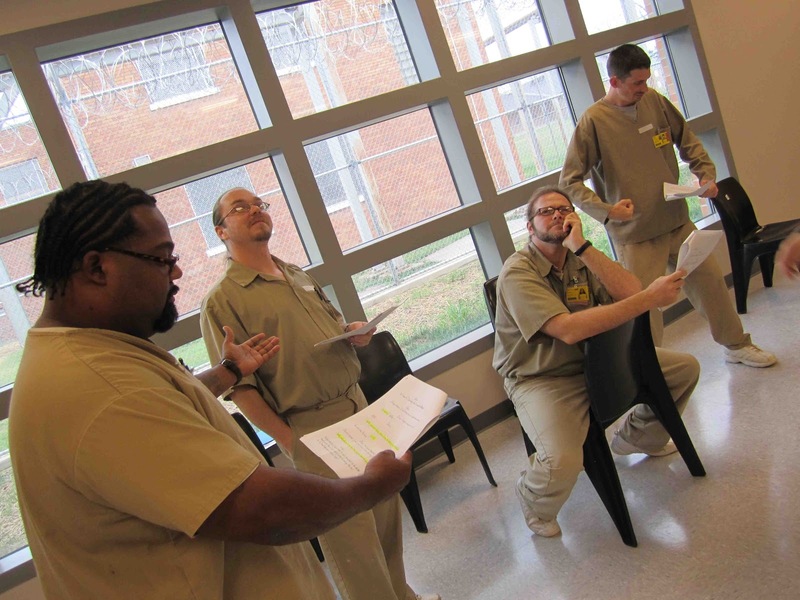 The Northpoint prisoner-playwrights have written some “message plays” – those that speak directly to prison issues – and these plays will be toured to the other correctional facilities throughout Kentucky. The plays will be performed by professional actors. And, the program is going international thanks to Liz Orndorff, who regularly works with the program in Kentucky. She is going to Ireland on an artistic exchange program in October. While there, she will visit a local prison, and will bring some of the plays written by the men at Northpoint with her. We’re thrilled about the Irish prisoners reading and performing these plays. And finally, we are gearing up for the 2013 playwright residency, scheduled for June 2013. Lanie Zipoy is the producing director of Voices Inside/Out, a theater program and playwriting residency in a male population medium security prison in Kentucky. She also co-founded Works by Women, an organization that advocates on behalf of female theater artists by supporting work written, directed and designed by women. Im glad it was me that opened a picture of the man thay violated my children instead of them. I understand rehab for inmates but wat about the victims. Here are a couple of sites that may be helpful for victims. I sincerely hope these resources are helpful.